Winter at the Calgary Zoo can be some kind of awesome. On November 25, when we flick on the switch to ZOOLIGHTS presented by JSS Barristers, the grounds will be transformed into a twinkling wonderland for the entire family – until January 8, 2017. When ZOOLIGHTS began some 19 years ago it was dubbed Wild Lights but, back then, it was far from the conservation-focused $1-million event it’s become. Between its lengthy history and an annual investment of new activities including Pedal Power, a virtual reality activity promoting alternate forms of transportation and more razzle dazzle — it’s no wonder it’s become a top holiday tradition for more than 120,000 people who attend its five-week run! #1: Nowhere else in Calgary can you see a dazzling 1.5 million LED light bulbs . . . some of which are interactive while others dance to music! #2: Who doesn’t love dressing up a snowman with outrageous duds? We promise you’ll love our “Build a Snow Buddy,” which is really just a very good excuse to play in the white stuff and customize a snowman for the perfect photo op. Dressing up a snowman isn’t just saved for the coldest weather of the year! 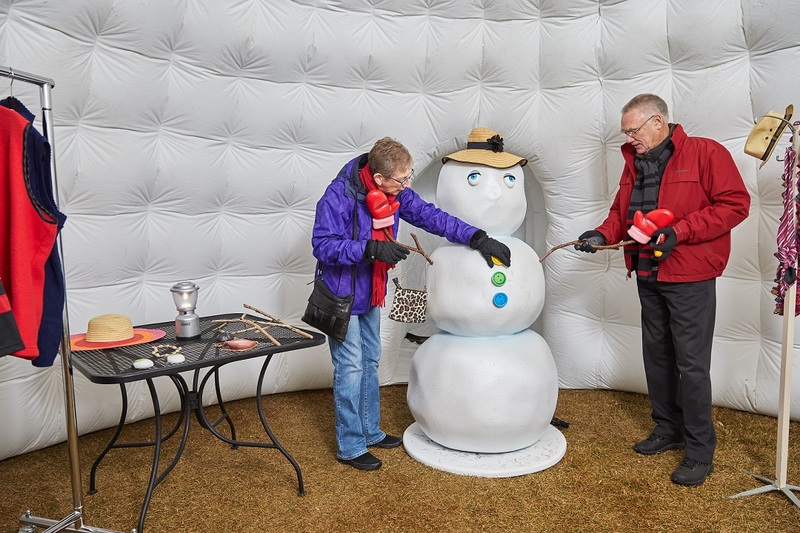 Build a Snow Buddy with us at ZOOLIGHTS! 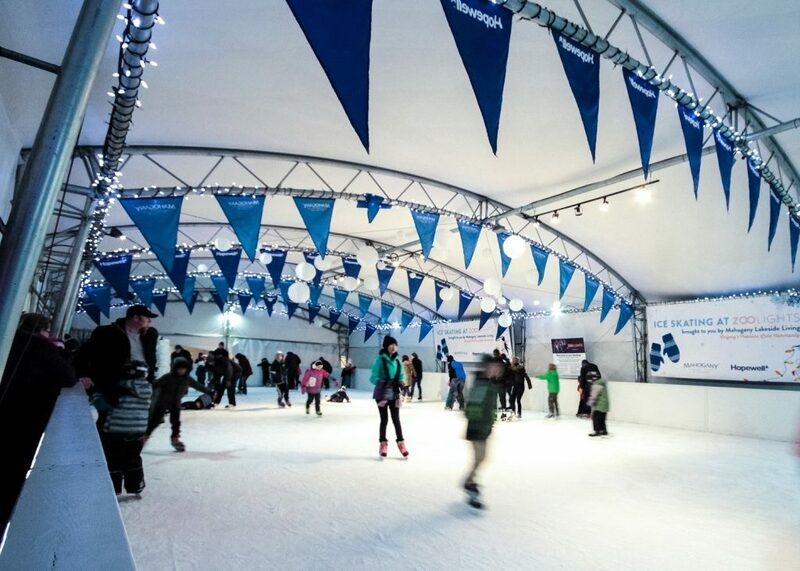 #3: Set under a canopy of Christmas lights is our enchanting skating rink sponsored by Mahogany Lakeside Living. NEW! Every Friday and Saturday night skate with friends and family while a DJ plays. Don’t have skates? No worries. We have free skate rentals (courtesy of KidsSport Calgary) on the site. Consider this our little gift to you. 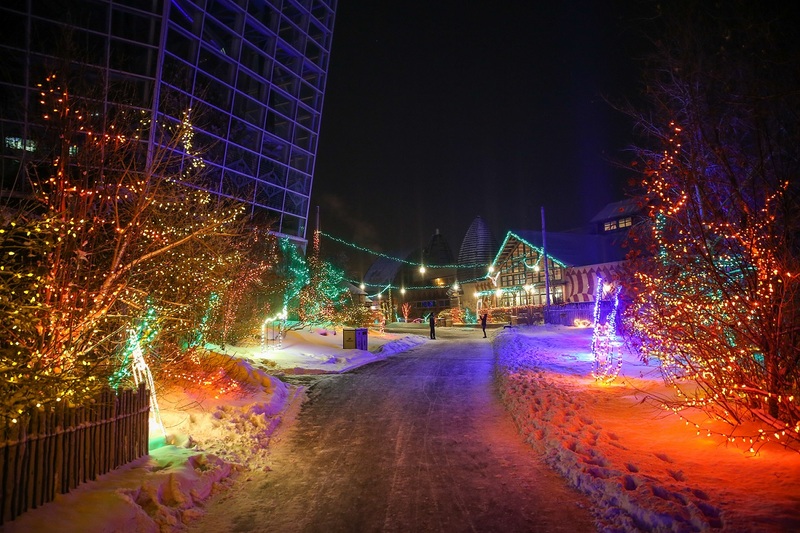 For the third year, you can now ice skate at the Calgary Zoo, courtesy of Mahogany Lakeside Living. 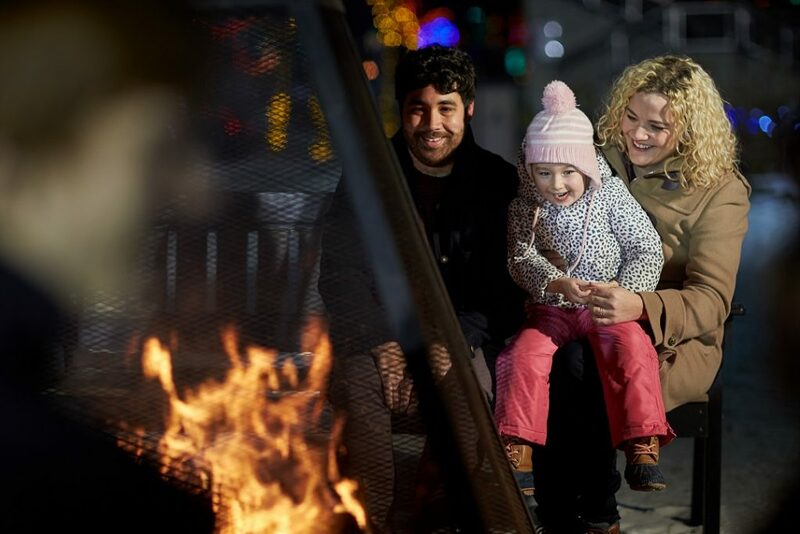 Keep warm on a winter’s night at ZOOLIGHTS- cozy up to one of the many fire pits. #5: No visit would be complete without a chat with Santa. 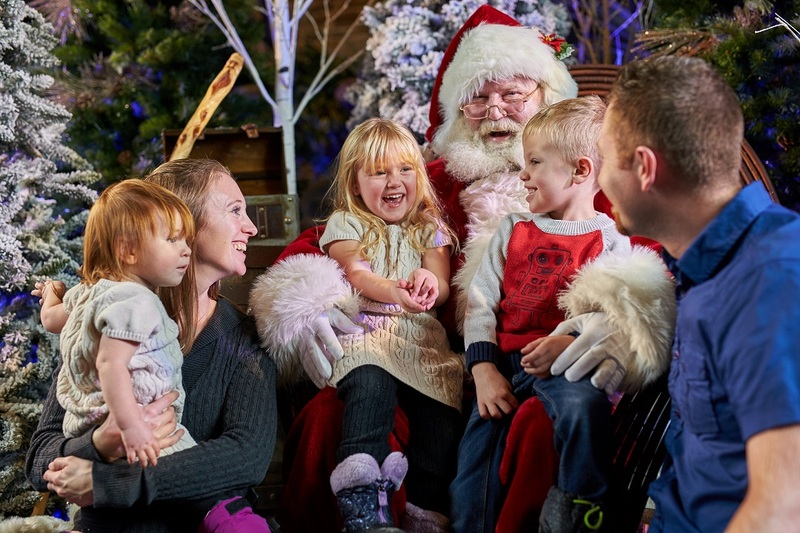 Yep, the jolly ol’ gent will be back, from Nov. 25-Dec. 23, in the ENMAX Conservatory. Bring your camera and remember, visits with Santa are FREE. No ZOOLIGHTS visit is complete without a visit to Santa! Young or old, this photo op is a classic. NEW! Warm up with an indoor visit and experience ZOOVILLE themed activities. If you stop by ZOOLIGHTS and don’t know what to visit first, check out our greeter station, found when first exiting the tunnel. Our greeters will help you plan your perfect night- and are taking donations for the Calgary Food Bank!